Should I Rent a Two Door or Four Door Wrangler Jeep? 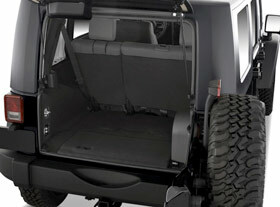 Kauai Jeeps has two Wrangler door-styles available for rental. Both are fun to drive. The 4-door has seatbelts for 5 passengers. Each style has its own advantages. How do you decide what you’d like to rent for your stay on Kauai? 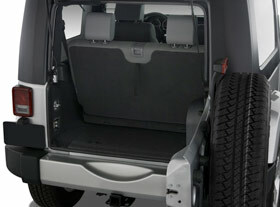 The “Unlimited” 4-door Jeep is the preferred vehicle for 3, 4 and 5 adult passengers. The larger size and easy access provide more spaciousness for passengers and their cargo. Note: easily removable front roof panels on the 4 door Jeep. A primary advantage of a 2-door Jeep largely lies in your ability to remove the top. Frequent rain, possible anytime in the islands, makes the cloth top more instantly changeable. The 2-door style is great for two people with average gear and luggage and 2 young children, without need of special seating, can easily pop in and out of the rear passenger bench seat. While all of the Jeeps we rent are 4-wheel drive, our partners rental contracts disallow off-road travel. This should not be an issue as most roads on Kauai are paved. Learn more about driving on Kauai and local rules of the road. All Jeeps are a fun way to get around on Kauai. They provide a “sporty”, engaged driving experience-- not the same as a comfort-centered commuter car. Island distances are short and the pace is slow, so a plush or fast car is not necessarily an advantage on The Garden Isle. Wranglers, sitting taller than average passengers cars, provide great visibility for drivers, especially those new to the island. And, the “fun factor” of driving a Jeep can’t be topped.